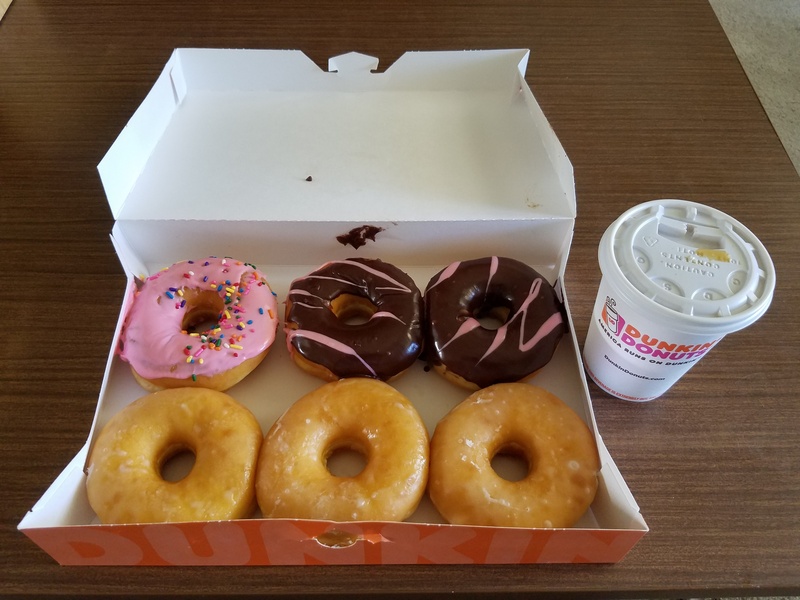 Yesterday, August 3, 2017, I treated myself to Dunkin Donuts as a reward after I finished drafting a 28-page legal and business analysis for a land deal my business partners and I are trying to execute for a start-up company we are building. I worked 3 days in a row at Starbucks in Waipio typing this document for 7 to 8 hours straight a day. Dunkin Donuts recently opened a store near Honolulu International Airport, Hawaii, making its return back to the State of Hawaii. I gave my mom 2.5 donuts today when she came by to drop off food she made.